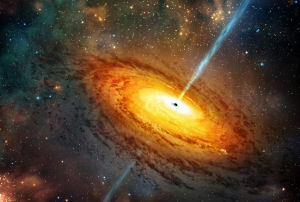 Building on related research that showed how two entangled black holes could be linked by a wormhole, an MIT physicist has shown that two entangled quarks could also give rise to a wormhole that connects the pair of elementary particles. The new work bolsters the relatively new idea that the laws of gravity holding together the universe may not be fundamental, but arise instead from quantum entanglement. 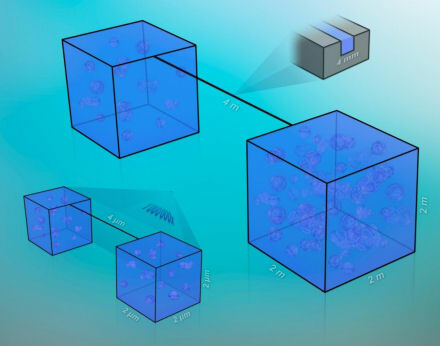 Entanglement has been demonstrated experimentally, but the mechanism that allows entangled particles to communicate instantaneously has so far evaded scientists. Earlier this year, however, physicists Juan Maldacena of the Institute for Advanced Study and Leonard Susskind of Stanford University proposed a theoretical solution in the form of two entangled black holes. When the black holes were entangled, then pulled apart, the theorists showed that what emerged was a wormhole – a tunnel through space-time. Additionally, their research suggested that gravity emerges from the more fundamental phenomenon of entangled black holes. 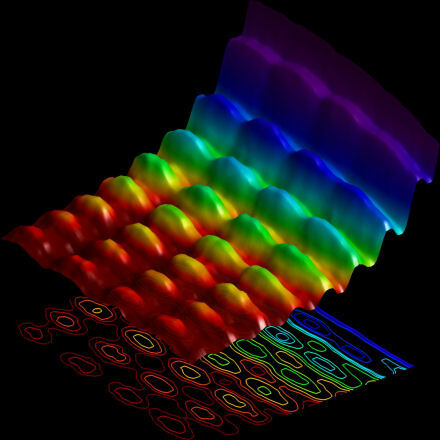 Now, MIT physicist Julian Sonner has built on this and found that, looked at in the context of string theory, the creation of a quark-antiquark pair simultaneously gives rise to a wormhole connecting the pair of elementary particles. 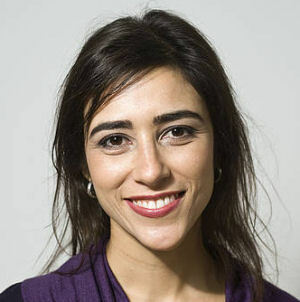 Sonner has published his results in the journal Physical Review Letters, where it appears together with related work by Kristan Jensen of the University of Victoria and Andreas Karch of the University of Washington. To explore what emerges from two entangled quarks, Sonner first generated quarks using the Schwinger effect – a concept in quantum theory that enables the creation of particles out of nothing. More precisely, the effect, also called “pair creation,” allows two particles to emerge from a vacuum. Under an electric field, “one can,” as Sonner explains, “catch a pair of particles” before they disappear back into the vacuum. Once extracted, these particles are considered entangled. Sonner then mapped the entangled quarks onto a four-dimensional space representing space-time. To see what geometry may emerge in the fifth dimension from entangled quarks in the fourth, Sonner employed holographic duality, a concept from string theory. “While a hologram is a two-dimensional object, it contains all the information necessary to represent a three-dimensional view. Holographic duality is a way to derive a more complex dimension from the next lowest dimension,” explains Sonner. Using holographic duality, Sonner found that what emerged was a wormhole connecting the two entangled quarks, implying that the creation of quarks simultaneously creates a wormhole. More fundamentally, the results suggest that gravity may, in fact, emerge from entanglement. 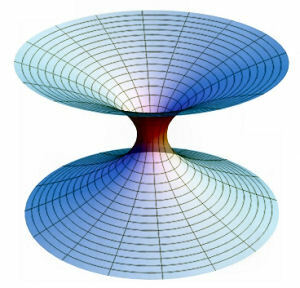 “The geometry, or bending, of the universe as described by classical gravity, may be a consequence of entanglement, such as that between pairs of particles strung together by tunneling wormholes,” Sonner explains. Ever since quantum mechanics was first proposed, physicists have been trying to explain gravity in quantum-mechanical terms. While quantum mechanics works extremely well in describing interactions at an atomic level, it fails to explain gravity – a fundamental concept of relativity. Sonner says his work may offer new approaches into a reconciliation of quantum mechanics and general relativity. 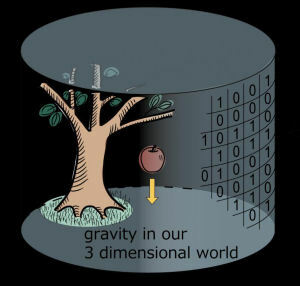 Any such approach would suggest that classical gravity is not a fundamental concept, as Einstein first proposed, but rather that it emerges from a more basic, quantum-based phenomenon. In a macroscopic context, this would mean that the universe is shaped by something more fundamental than the forces of gravity.